I love to snack. It's one of my downfalls. Around 2 or 3 in the afternoon I find myself in the kitchen looking for something. If there are unhealthy things around, I often will choose them. I've made Roasted Chickpeas before and loved them. They really are the easiest things to make and you can make them so, so many different ways. 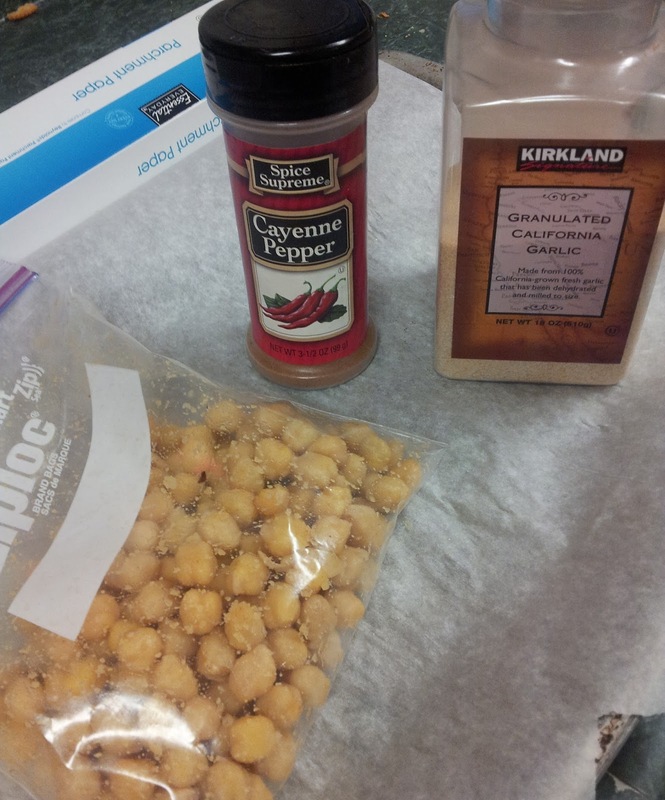 This time I used garlic but you can use so many other spices. I love using chili powder and cumin. Chipotle chili powder is another favorite of mine. I am trying to avoid unnecessary oils so I just kept these a bit moist from water and they were just fine. 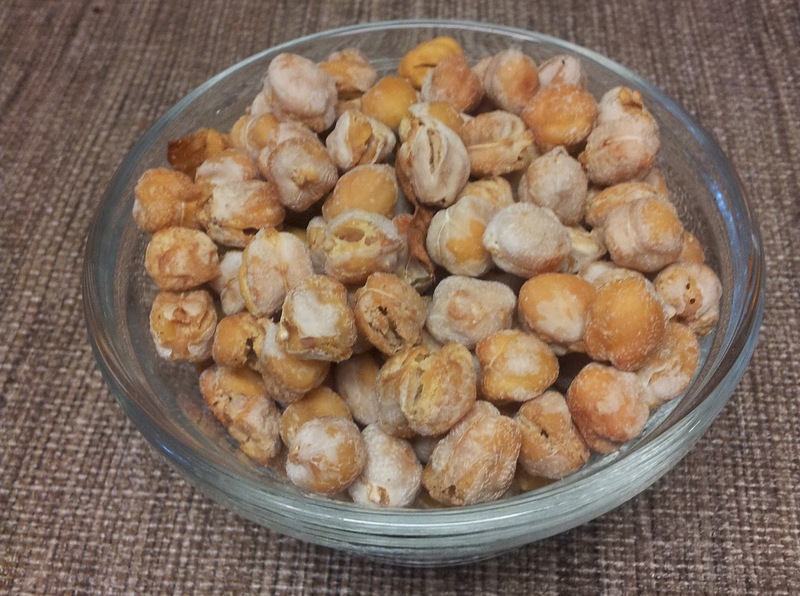 This is Day 8 of 30 Days of Vegan recipes. Elena's 30 day challenge is going well. 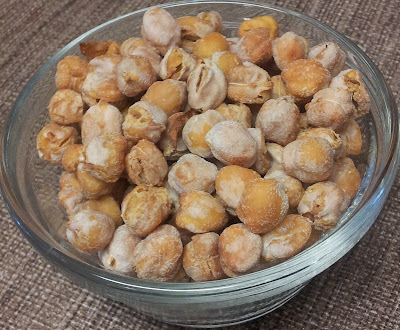 Eating delicious snacks like these make it really easy! 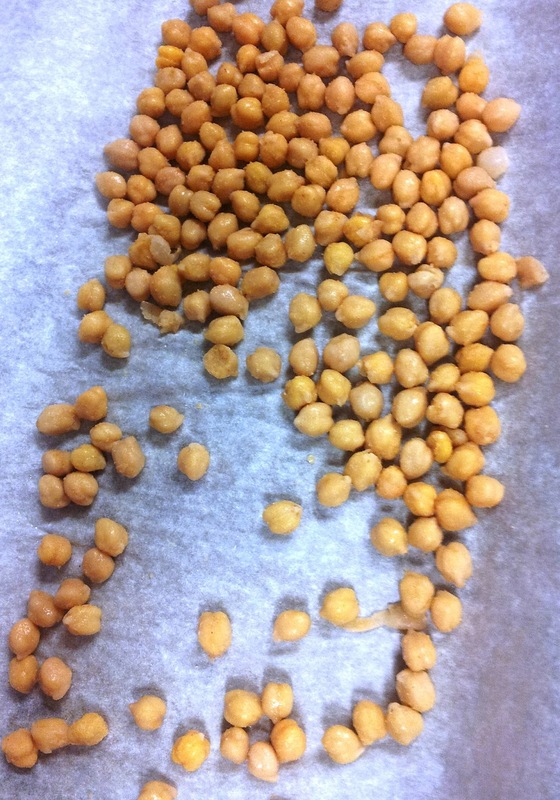 Rinse chickpeas and pat dry. I left a little bit of moisture on them so that the garlic powder would stick to them. If you're using oil, pat them very dry. Put in a baggie along with the spices and shake to coat. 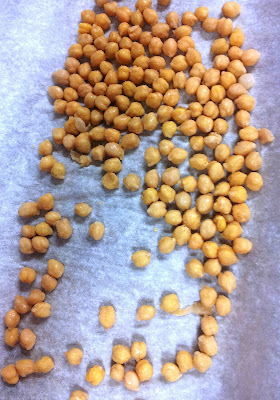 Toss on a parchment lined tray and roast in the oven at 375 for 40 - 45 minutes or until they are the desired crispness.